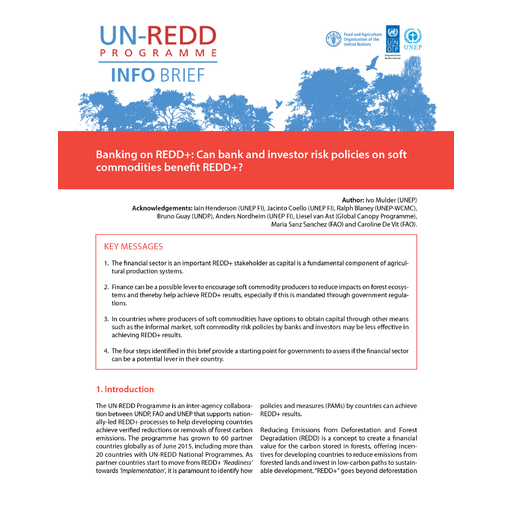 The latest news and some key resources on agricultural commodities and deforestation. Stay informed on businesses, investors, and governments that are publicly committing to reverse their role in degrading the world's critical ecosystems. Sign up to our newsletter. 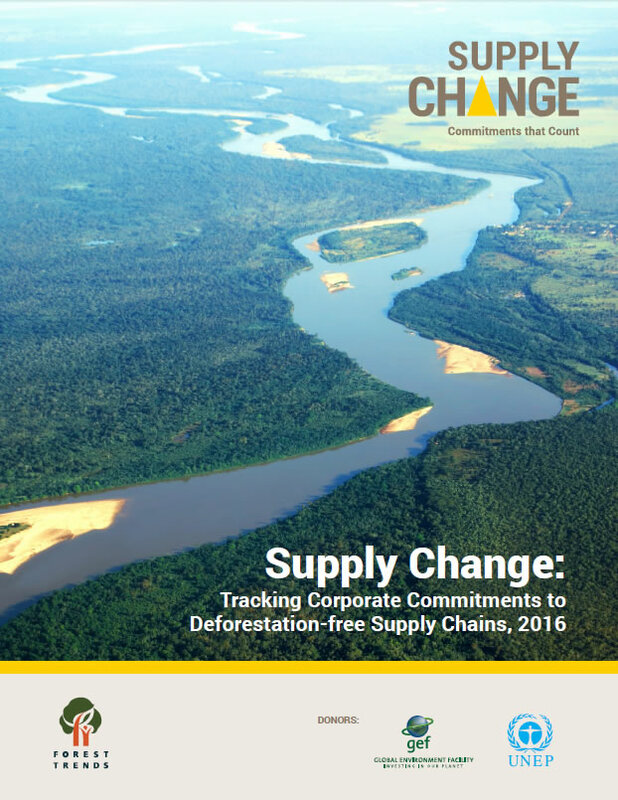 The newest Supply Change newsletter is available here. Oil Palm, The Prodigal Plant, Is Coming Home To Africa. What Does That Mean For Forests? Where Will JPMorgan Chase Put Its 200 Billion Green Dollars? 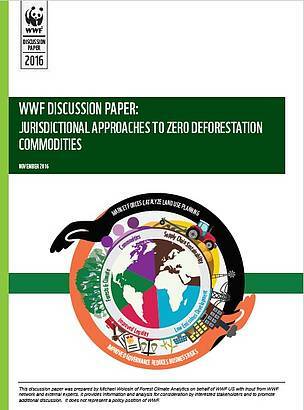 Consuming deforestation: where are your standards? Can "Radical Transparency" Save Forests And Slow Climate Change? A tale of burgers and buns: Who is really reducing deforestation? What Does Brexit Mean For Illegal Logging And The Global Timber Trade? Meet the man who turned a notorious center of deforestation into Brazil's first "Green municipality"
Commodity roundtables: Green gatekeepers or dirty doormen? Millions of acres of the Amazon are at the risk sue to the Trade war between the U.S. and China. 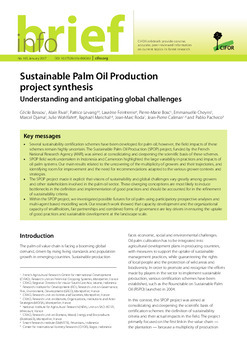 The Palm Oil Innovation Group welcomes improvements in the RSPO Standard / strengthening of underlying systems and robust implementation still needed. 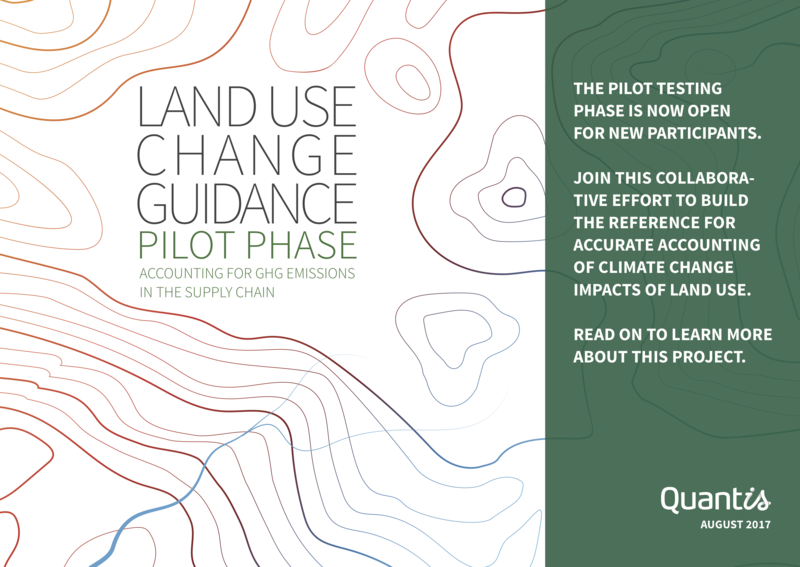 Quantis launches its "Accounting for Natural Climate Solutions Guidance"
As palm oil production ramps up in Africa, communities work to avoid problems plaguing other regions. Are Your Favorite Fashion Brands Sourcing 'Natural' Fibres That Are Destroying Ancient and Endangered Forests? Malaysia gets own Forest Stewardship grading standards now, but are they effective? Malaysia to ban oil palm expansion? Vatican discussion about Amazon conservation raises anger of Brazil’s right-wing government. Palm oil—can we enjoy it responsibly? Can technology save the palm oil industry? Will President Bolsonaro withdraw Brazil from the Paris Agreement? 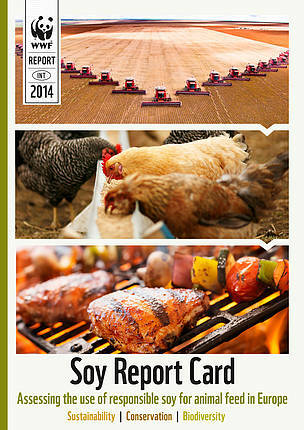 Soy: this year's dirty commodity? "We can have conservation and development in the Amazon." Yes, We Can End Deforestation And Reverse Climate Change. Here's How. "Sustainable palm oil is the best solution to deforestation"
Can carbon credits and cocao outcompete gold mining and deforestation in Peru’s Amazon? Iceland chief hits back at palm oil PR stunt criticisms as farmers union declares "palm oil is a lifeline, not a bogeyman"
How close is Africa to meeting its sustainable economic growth objectives? Wood Charter: Monaco’s commitment against deforestation. Activists feared Brazil's Bolsonaro would accelerate Amazon deforestation. Now they think it's already happening. Demand for "Sustainable" palm oil ravages forests. British companies have led the way in palm oil sustainability. Can Sustainable Logging Help Save An Indigenous Way Of Life? What is palm oil and why is it damaging? Purus-Madeira: the Amazon arc of deforestation marches north. How a new provision in Brazil's Forest Act could cost it a massive chunk of protected rainforest. 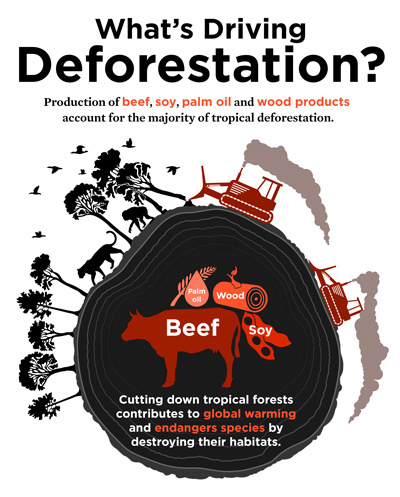 Tropical deforestation: where's the beef? Iceland ad: Why is Palm Oil so bad for the environment? How do companies benefit from sustainable palm oil certification? Opinion: If we want out food to be sustainable, we need to be able to tall where it comes from. Can Champagne help us think bigger on sustainability? Is Your Halloween Candy Destroying the Rainforest? PZ Cussons announces new plastic reduction and deforestation targets. Purus-Madeira: journey to the Amazon's newest deforestation frontier. The Amazon on the Brink. 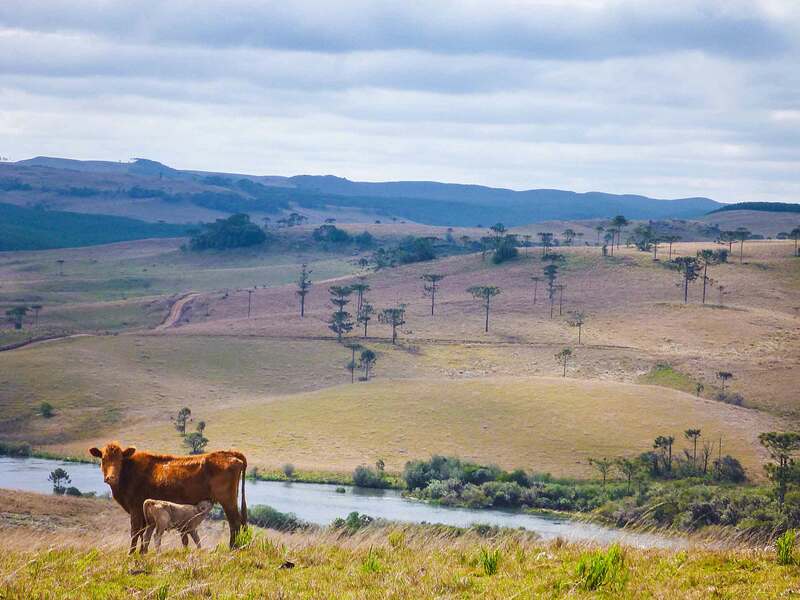 Once a leader in protecting the region's vast forests, Brazil is now moving in the opposite direction. Sustainability standard provide benefits for trade in timber products. Strategic silence: Why are some companies not publicising their environmental certifications? Demand Is Driving Deforestation. What Can Companies Do? Norway becomes world's first country to ban deforestation. The Forest Stewardship Council (FSC) will hold its annual international event, FSC Friday, later this month. Will palm oil-free certification save forests? An analysis one year away from the certification s launching. Are retailers ready to walk the walk in sustainable soy? How did a group of activists - one as young as seven - make their voices heard? Will consumer goods giants default on 2020 zero deforestation promises? What does sustainable palm oil mean to smallholders? RSPO launches new network to accelerate sustainable palm oil, but is it enough? Can blockchain ensure Unilever's tea farmers produce a fairer brew? Are 'No deforestation' commitments working? Can the palm oil industry ever be fully sustainable? When fines fail, how can companies be made to pay for deforestation? As in-house sustainable sourcing schemes soar, will Fairtrade fade? What does the (UK) construction industry want from timber product suppliers? Brazilian Agribusiness Eyes Palm Oil: Is the Amazon in Further Danger? Unknown faces: Who are the farmers behind your cocoa and palm? Who's using sustainable palm oil? Could the palm oil industry's most productive seeds end deforestation? To save our palm oil, Malaysia is teaming up with the country that brings us HAZE?! Is Palm Oil Consumption In India Fuelling Deforestation In Indonesia? 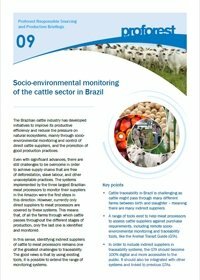 Soy cultivation: What is the path to sustainable land use in Brazil? 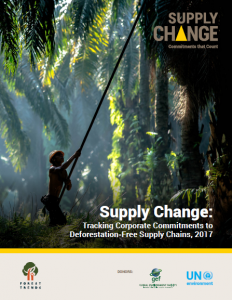 Are businesses really cutting deforestation from their supply chains? Who still banks on destroying Indonesia's forests? Companies Promise To Stop Deforestation. Are They Lying? What happens when the soy and palm oil boom ends? RSPO: Cause of deforestation or conservation? Could the contents of your trick-or-treat bag be destroying rainforests? Does (beef) efficiency equal sustainability? Use of Eco-Labels Is Set to Soar For Products, Brands ... and People? Can new donor cash be made to work for smallholders? Trees Stop Climate Change - Can We Pay People (in Uganda) To Stop Cutting Them Down? Is "Sustainable Beef" Really A Thing? Peru's new environmental policies: What are they and will they work? Does Producing More Food Have to Lead to Deforestation? Do NGO scorecards that 'name and fame' or 'name and shame' actually work? 5 Food Commodities Produce More GHGs than Any Country Apart from China, U.S. Responsible soy sourcing: Is the EU feed sector doing enough? Will London Stock Exchange bar firm over Amazon deforestation? Marketing sustainable soy: 'Invisible but important' or loud and proud? Can we preserve forests, go organic and eat meat? GreenPalm palm oil goes greener, or does it? How will Indonesia cope with slump in demand for palm oil? Going deforestation-free: can it protect our forests? Is this Malaysian palm oil firm still destroying forest in Borneo -- and selling to Wilmar? 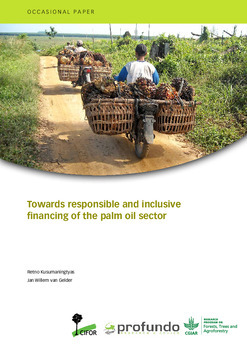 How can banks spur the palm oil industry toward sustainability? Deforestation is decreasing -or is it? What's being done to stop palm oil plantations from destroying Indonesia's rainforests? Is eco-certification the solution to forest destruction? Saving the planet depends on saving its tropical forests. Can we do it? 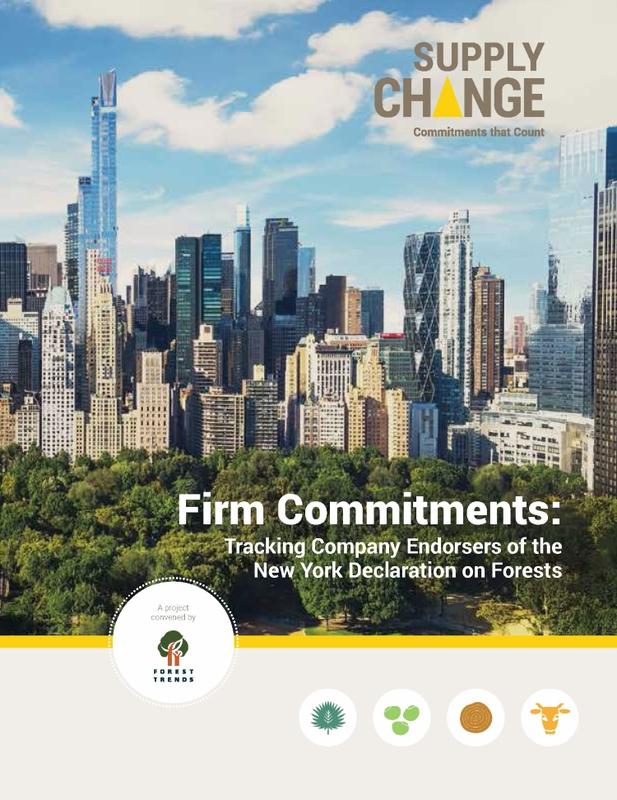 Does the world need more corporate forest commitments? Problem with Palm Oil (Or, Next Wave of Supply Chain Class Actions? Is the UK on track to meet its sustainable palm oil targets? 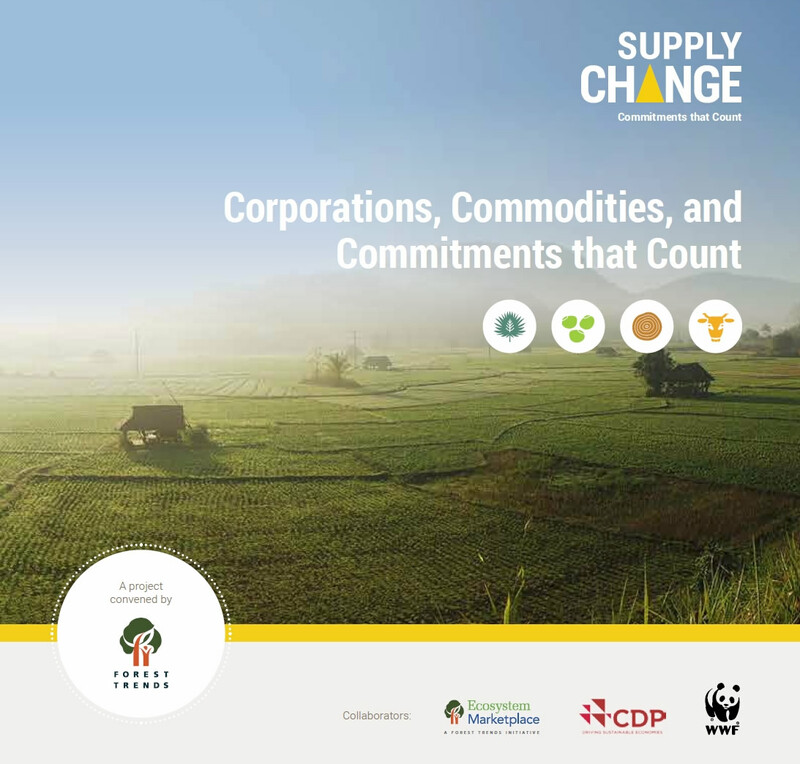 Can Companies Achieve Zero Deforestation in their Supply Chains by 2020? Will Indonesia's new palm oil subsidy undermine no-deforestation push? Will RSPO's new standards drive deforestation out of the palm oil industry? Could charging more for sustainable palm oil save tigers and orang-utans? 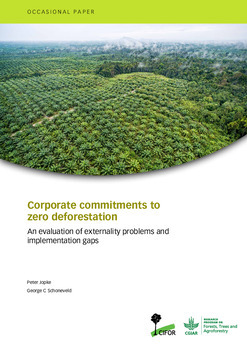 Corporations rush to make zero-deforestation commitments, but is it working? Do we need to move 'beyond certification' to save forests? Can these shareholders curb deforestation? Norway's Government Pension Fund Global - the world's largest sovereign wealth fund - takes stand against deforestation. It's easy for a company to say it's going to stop chopping down all the trees, but is it actually stopping? Have the needs of local communities, indigenous peoples and workers been addressed? 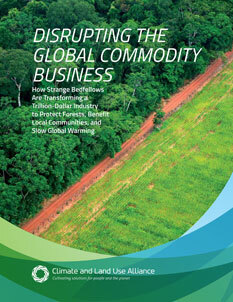 Deforestation and Social Risks in the UK´s commodity supply chains. It’s time to plant the seed of Sustainable growth in agriculture. 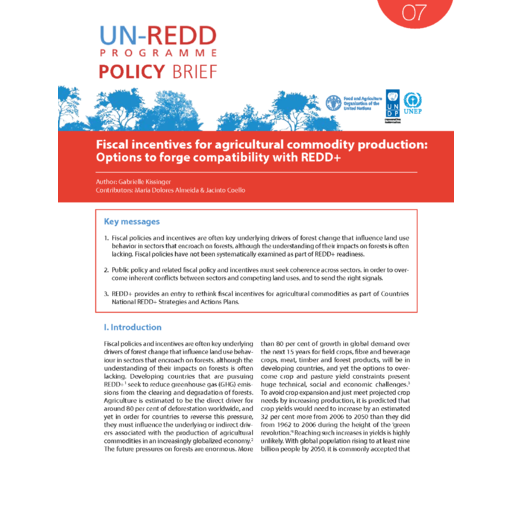 Achieving 2020: how can the private sector meet global goals of eliminating commodity-driven deforestation? Investor concern for forests; Can shareholders prompt companies to take action? Os frigorificos vao ajudar a zerar o desmatamento da Amazonia? Corporate land holdings: Hidden Land, Hidden Risks? Tackling Illegal Logging and the Related Trade: What Progress and Where Next?